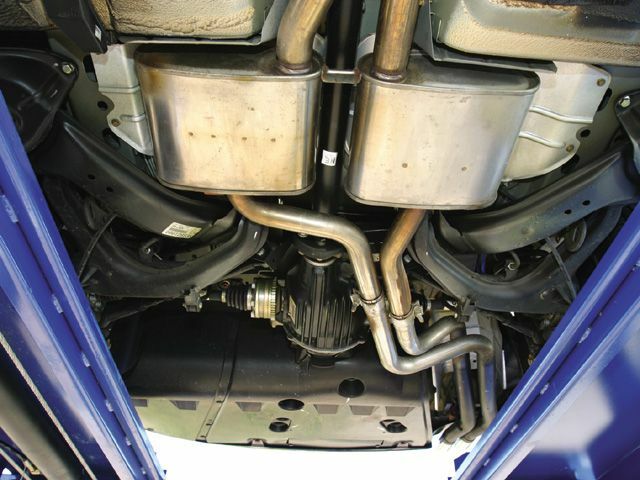 When it comes to mufflers, a lot of people base the power on how it sounds. When you hear a loud vehicle coming from up the road, you assume it is made of power because of how loud the muffler is or even how big it is. This may all be the ploy of some advertising campaign and may really have nothing to do with providing a great amount of power at all. It is up to you to know the differences in what you are getting yourself into and to better understand the parts and the science behind them. Muffler manufactures every day make claim after claim about how great their product is and how they actually work, all for the sake of taking money out of your pocket. It is nothing worse than being misinformed about an expensive part that you may not even need to begin with. A lot of these claims from these manufactures do not even explain how their mufflers actually work and bring a difference to the performance of your car or truck. The purpose of a muffler has three goals in mind. They are there to absorb and dissipate sound, to move exhaust gasses, and finally to maintain power and performance of the engine while still achieving the first two points above. It takes a great design and engineering of a muffler that can effectively contain, absorb, and dissipate noise pulses while also marinating power with cost efficiency, which is not an easy task. What is interesting is that performance mufflers do not add any extra power to your car when you install them; what they can do is help maintain more of the engine’s power than a stock muffler. The stock mufflers on vehicles have restrictive exhaust systems in order to keep the cars quiet and cost much less to the company manufacturing your vehicle than what an aftermarket one would do. There is a lot more to understanding about mufflers and whether or not a purchase is right for you. If you only plan on keeping your vehicle on the road, then you may not want to buy a performance muffler. However, if you have a lot of opportunities on the track, you may want to invest in one but with the understanding that is will mainly maintain the power the vehicle already has, not output new power. Research and be informed the next time you want to buy an aftermarket muffler, as what you buy may not exactly be what you need. You can find some of the best mufflers from Magnaflow, GReddy and Borla. When people talk about Doomsday, many people think about the end of the world or some other sort of cataclysmic event taking place. However, when we talk about Doomsday, we are referring to the Doomsday machine, or the Doomsday S10. This vehicle is a car, or even could be considered a truck also, built from a 1998 Chevy S-10 regular cab pickup featuring the factory steel cab, steel doors, which is only for street use, and the steel bedsides that are wrapped around an SFI-certified chassis. The Doomsday S-10 comes with a lot of power that stems from a Pro Line-built 620ci, 5-inch bore-spacing Brodix big block Chevy-based aluminum engine with Brodix heads and twin turbos. This gives it more than enough power to necessary to do any sort of street activity, or just make it a powerful machine on the road. 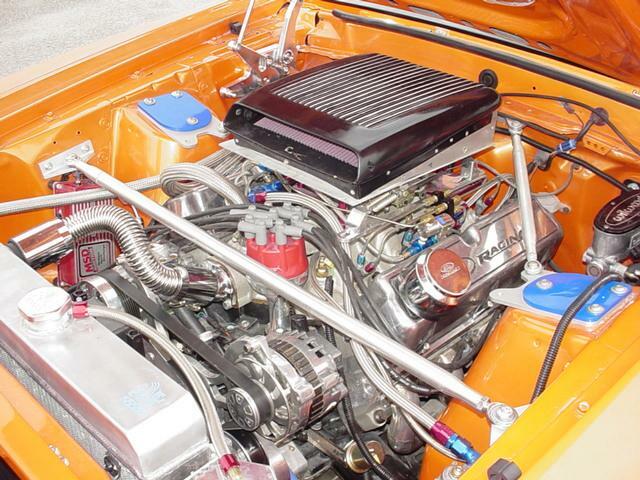 The power is fed by a pair of 98mm-inducer Precision Turbo Gen 2 Pro Mod chargers. Intercoolers are unnecessary because the alcohol cools in the intake charge. This alcohol is used on the drag strip to help further reduce the cooling, as that is the only place that would truly need an intense amount of coolant to keep the engine under control and overheating. What is interesting about the Doomsday S-10 is that it has two fuel systems. When you are on the street, the engine burns gasoline supplied by twin Aeromotive in-tank electric pumps, feeding 220 pounds per hour Precision injectors and 550 pounds per hour Precision injectors of the intake manifold. When you switch it to driving on the race track, the engine burns absolutely nothing but alcohol that is supplied by a belt-driven Aeromotive fuel pump. This is an interesting mix of machinery that is not normally seen by a lot of other cars on the road or race track, including unique vehicles such as concept cars or special cars. The point of the Doomsday S-10 truck is to remove a lot of the parts that could be deemed “unnecessary” on the drag strip. You want as little machinery as possible so that you can go as fast for as long as possible without the interference of being tied or dragged down by unnecessary parts. You can remove the gasoline fuel cell, ump, and fuel filter mounted in the bed of the truck. Even the radiator could get removed. This makes the Doomsday S-10 truly a vehicle of marvelous proportions. When it comes to building and creating parts, there is a divide between some on what is the best way to do it. Some people believe casting parts is the best and preferred method while some people believe forging is the way to go about it. The regular consumer is not going to think about situations and scenarios such as these because it takes a great bit of understanding to even begin understanding the pros and cons of both methods of construction. To fully understand the differences of casting and forging, you must begin to know benefits and hindrances. Some of the pros of casting are their large variety of size limits. This allows for larger items to be crafted than what could ever be done with forging. Casting also allows for no waste as can be seen when forging, such as needing to dispose expensive and complicated machinery pieces that forging would come with. However, casting does create a piece that is homogenous and without a crystallized grain structure, which therefor results in less uniformity of the part and durability of the finished product. Not only that, but casting can give rise to issues such as becoming porous during the formation, which is the cooling, stage. Casting and forging both involves the same first step of heating the elements to a molten level to become building what you need; after this however, comes the differences as forging metal, unlike casting, relies not on the conforming of the shape over time but having the shape beaten out of the metal while it is still in the semi-solid state. After that, it must then be heat-treated to allow it to cool in a controlled environment. Forging also forces the grain structure of the combined metals to reform, such as crystallization, without losing its shape, which also means the finished product will be much more reliable than a cast one. A downfall of this forging though is that it is essentially too expensive of an operation to do, which is why most people only choose forging when it is a limited and short production run. A lot of people choose casting if it is long term as it is much cheaper, albeit somewhat less reliable. There are more pros and cons than this, and to better understand is to do more research. You ultimately make the final decision on how you want your parts to be built and how you want to go about construction. Just make sure you know the facts and pick the right method for the job. Turbo cars are a very fun car to drive and they can really be a showstopper no matter what you take them to. Some people have dreams to always drive these vehicles and really feel that power behind the wheel. Turbo cars are a type of car that also show up at the drag strip and can really bring a crowd. However, at these shows, people have some concerns as to why turbo cars take so long to stage at the starting line. Usually, it is all about the spooling of turbos. If you do not know what spooling means, spooling means getting the turbine and compressor wheel to spin fast enough so that it builds to the desired level of boost you need in the intake in order to launch properly. The turbine in turbo cars are spun by the heat and rate of expansion of exhaust gasses, which in turns spins the compressor wheel that builds boost that is crammed into the engine’s intake manifold. This is all a fancy way of saying turbo cars do not seem to possess the necessary machinery to take off as quick as the car next to it. Some cars do this a lot better than turbo cars, but there are some turbo cars that have been custom fitted to launch correctly. Some have even made their turbo cars do it with scary amounts of power. Putting nitro and other sorts of custom work onto your turbo car can certainly allow you to achieve the desired power in order to stage at the drag strip starting line, but it can be dangerous and some people look at it as a means of showing off or doing unnecessary work to your car. Turbo cars have a lot of pros and cons to them but until the machinery is worked out, they will continue to struggle to stage when it is time for them to start. One thing turbo cars seem to do more than others at the starting line is misfire while taking off. It can make a lot of banging and popping noises and sometimes even shoot fire from the exhaust. After all of this violent display, the car will begin to take off from the starting line. They need a lot of work to be able to compete with other cars from the starting line, but they are on their way of doing it.